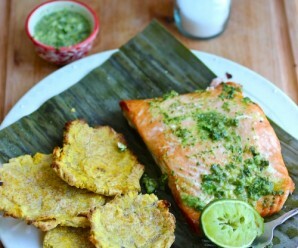 Pescado Relleno de Mariscos will forever remind me of my vacations in Cartagena. 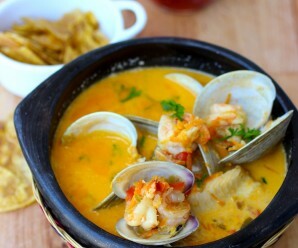 The beautiful beaches, the ocean, warm weather, delicious seafood dishes and the wonderful, historic city. Twenty years ago, during one of my trips to Cartagena, I couldn’t help but notice that a lot of the restaurants were serving Pescado Relleno de Mariscos. So, before I left Cartagena, I decided to order this fish at a small, cozy restaurant. 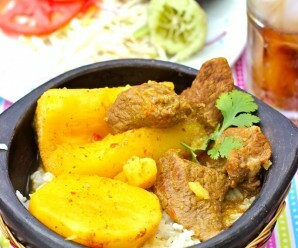 I don’t remember the name of the place, but I do remember that delicious dish! 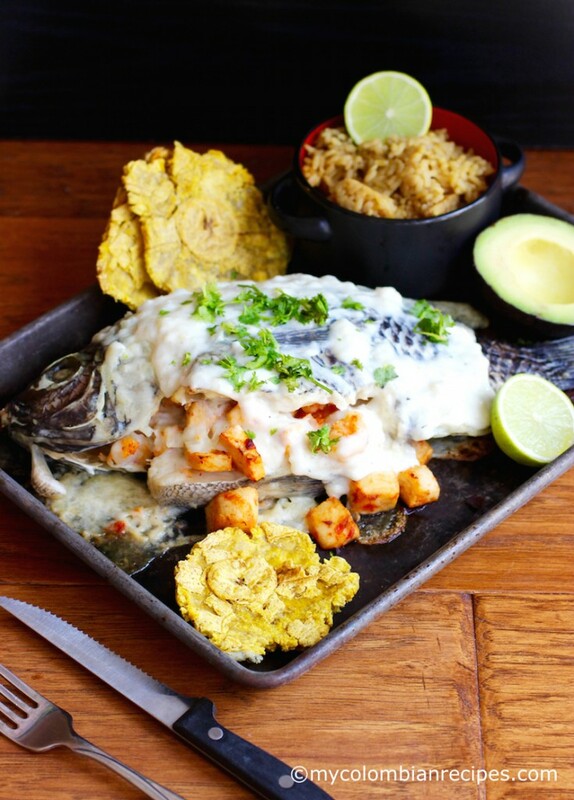 Traditionally, in Colombia, this stuffed fish is usually made with pargo rojo (red snapper) or trucha (trout) and served with arroz con coco (coconut rice), patacones (fried green plantains) and a simple salad on the side. 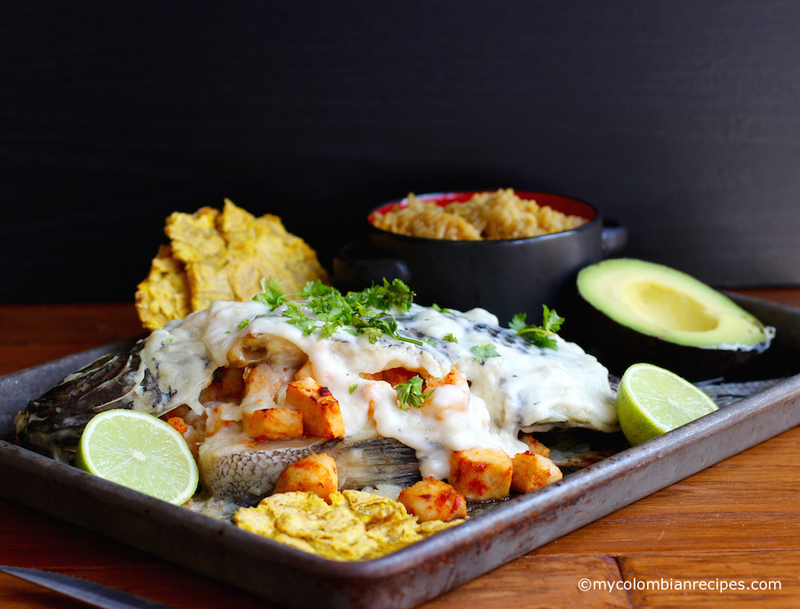 I tried to find a whole red snapper or trout at my local markets, but the only whole fish they had was tilapia, so I used it to make my Pescado Relleno de Mariscos. 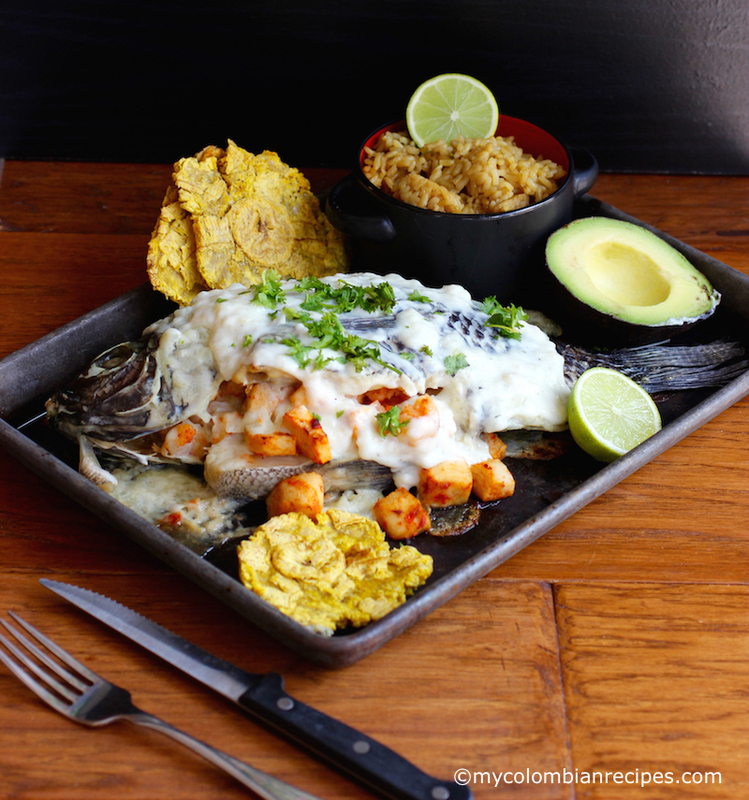 If you can find red snapper or trout, I highly recommend using it for this recipe, but either way, if you are fan of eating a whole fish, you’re going to love this traditional Colombian dish. 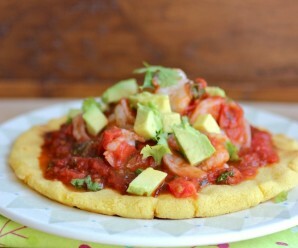 You can use any kind of seafood you like for the filling. I used shrimp, diced halibut and scallops for my filling, but feel free to add squid, octopus or crab, for example, for your filling. Rub the fish inside and out with lime juice, salt and pepper. Put in an ovenproof dish and set aside. To make the filling: melt the butter in a saucepan on medium heat, add the minced garlic, red bell pepper and onion, cook for about 2 minutes. Add the shrimp, diced fish, cumin, achiote and cook for another 2 minutes. Add the white wine and scallops, cook for another 2 minutes and remove from heat. Season with salt and pepper to your taste. To make the sauce: melt the butter in a large saucepan, add the onions and cook for about 5 minutes. Add the flour and cook for 1 minute over low heat, stirring constantly with a whisk. Add the milk, salt and pepper, and cook over medium-low heat. Continue stirring with a whisk, for about 5 minutes. Take off the heat and set aside. Preheat the oven to 375°F. Mix the filling with half of the white sauce. Stuff each fish with the filling and add the rest of the sauce on top. Bake for 20-25 minutes, or until is cooked through. Remove from the oven and serve immediately.